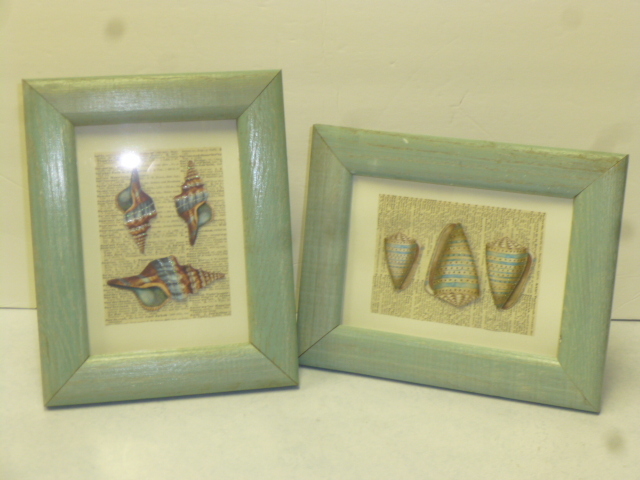 STILL in ‘collage mode’ . 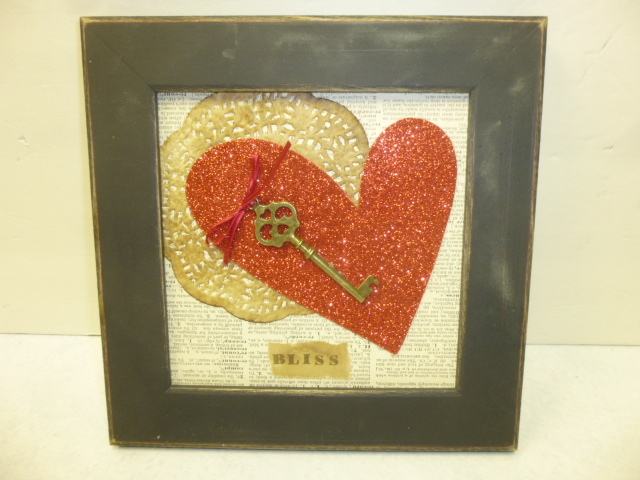 . .
Getting a few ‘Valentin-ish’ ones made. 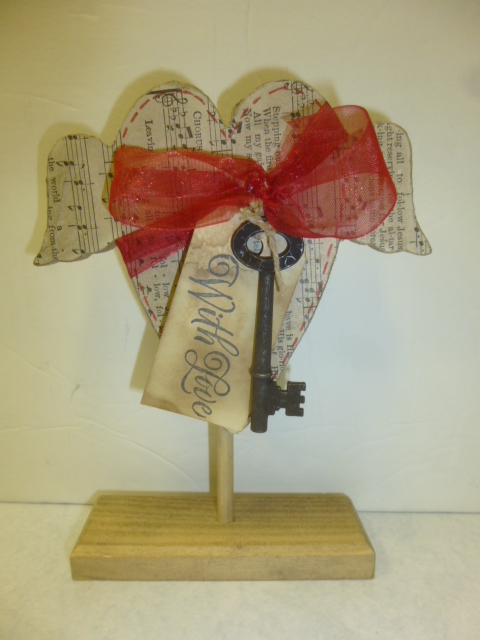 These wood hearts with wings were purchased unfinished from Dollar Tree several years ago. 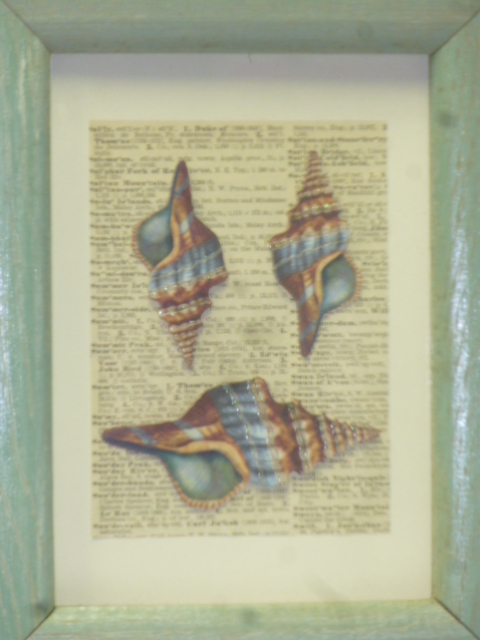 Glued vintage sheet music to it first then embellished a bit. 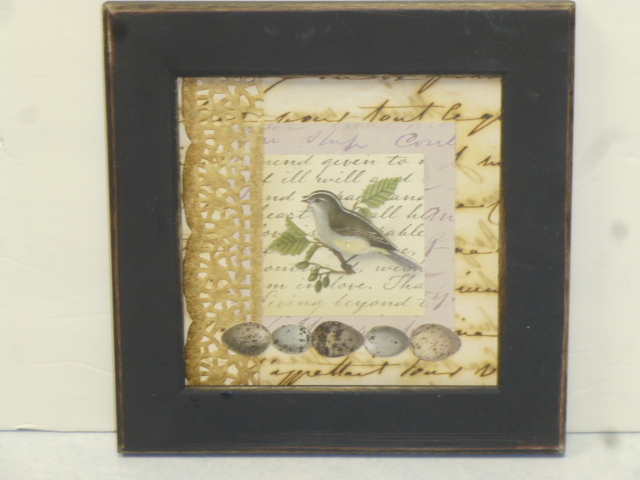 Just slightly altered gift box. Such a sweet faces little cherub on this thrift store box, I HAD to buy it! 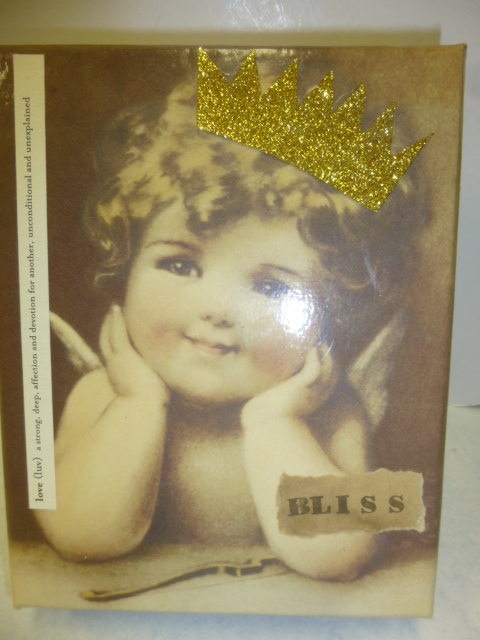 I filled it with my custom blend of paper shred (as I do with ALL my gift boxes) and added the love definition on the left side, the stamped ‘bliss’ tag and gave her a hand cut gold glittered crown. 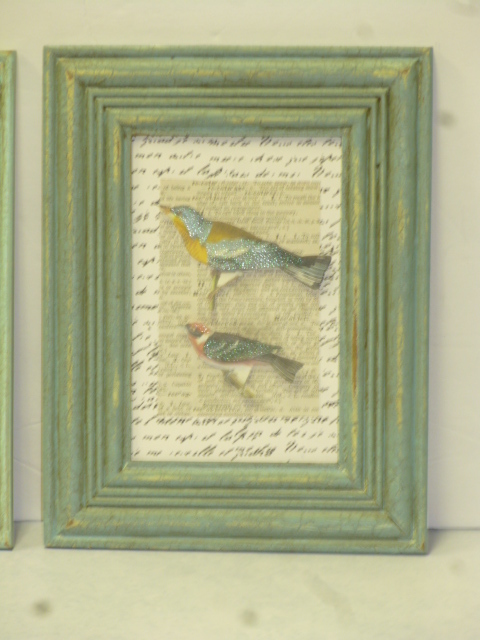 Super simple bird collages. 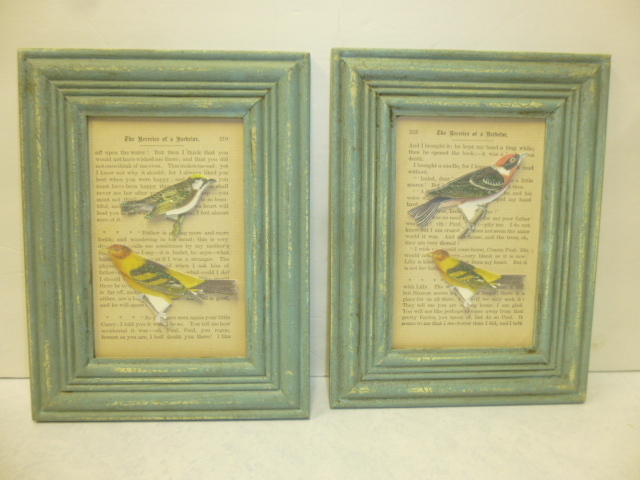 Scrap book embellishment birds mounted on old book pages in repainted and antiqued thrifted frames. 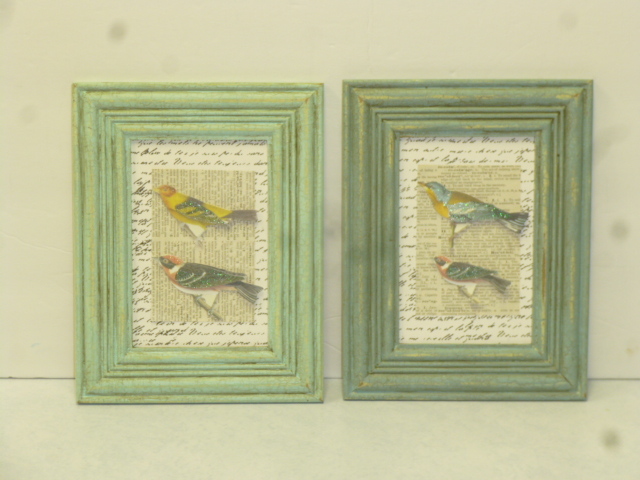 More birds in similar frames but with a more layered background. 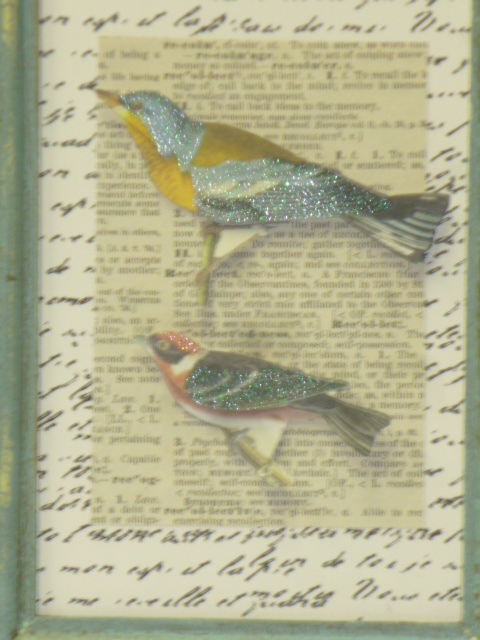 The birds have a little bit if shimmer to them. 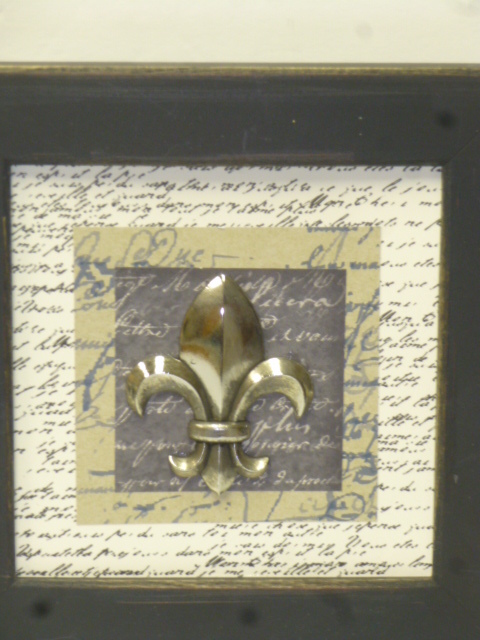 Old dictionary pages and scrap-book paper with script writing for the background. 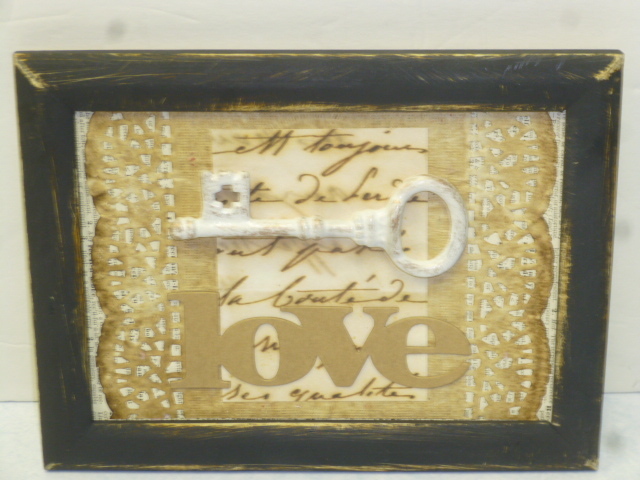 More layers of papers and paper lace on this backing. 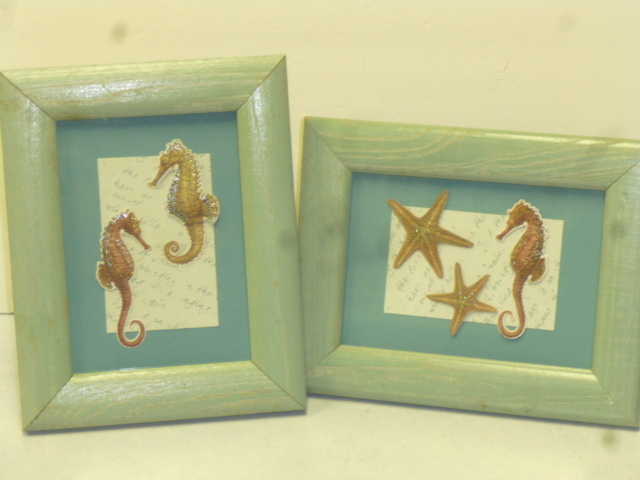 Having used up all the birds I had, it was time to move on to the sea life embellishments. 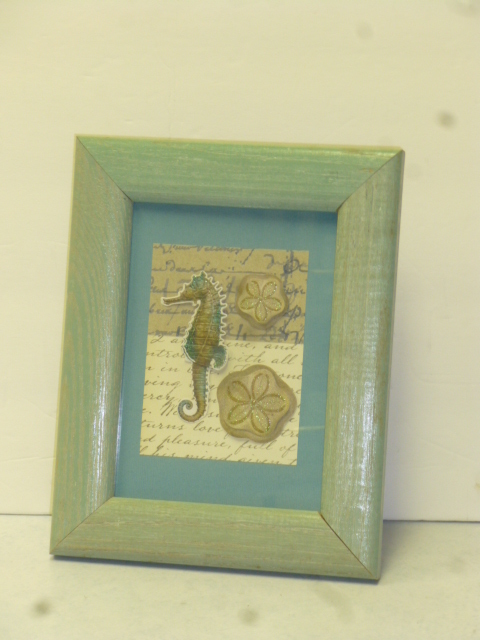 Seahorse in a tiny frame and pair of starfish on dictionary page with tea stained backing. 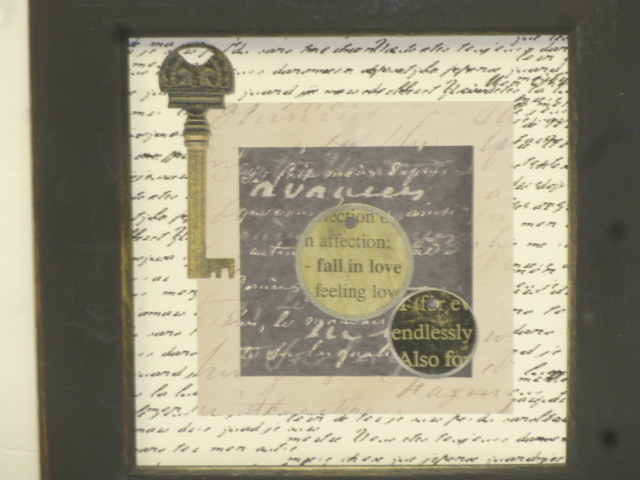 Another KEY collage?!?!? This one is just a sticker though. 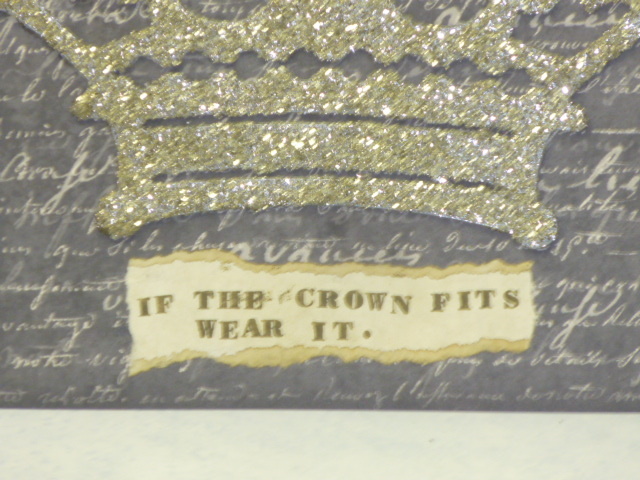 I’m really trying to USE UP a lot of the scrapbook paper and embellishments I have ‘invested’ in over the years. I buy a lot of this kind of stuff but so seldom actually USE it. 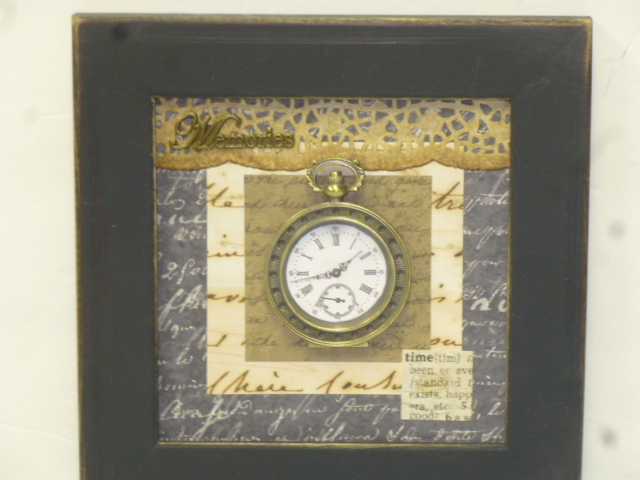 And I am NOT even a scrapbooker! I just love the STUFF!!!! 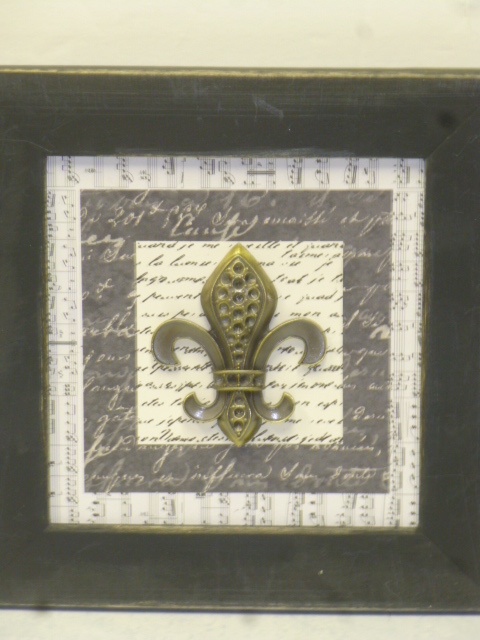 Paris chic fleur de lis. These metal fluer ‘charms’ (BIG charms!) I bought at the craft store. Wishing now that I had bought more of these when they had them. 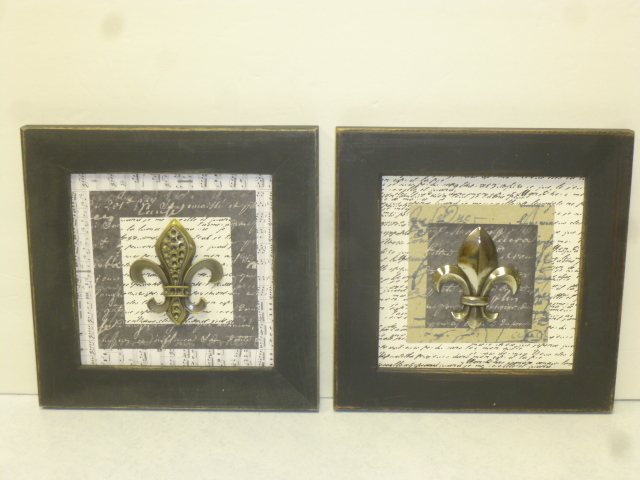 Thinking they would be neat to use on furniture. Metal pocket watch ‘charm’ bought same as the fleurs. Wonder what they were intended to be used for??? 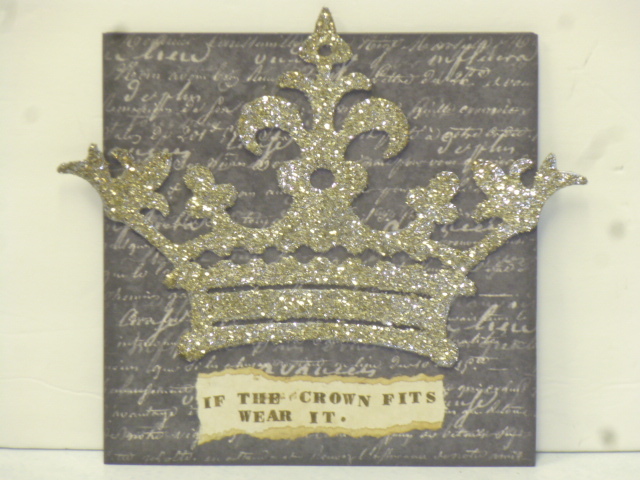 Bought these glitter crowns a while back from a wholesale website and had NO IDEA how I would use them. finally came up with this. I hand stamped the saying. 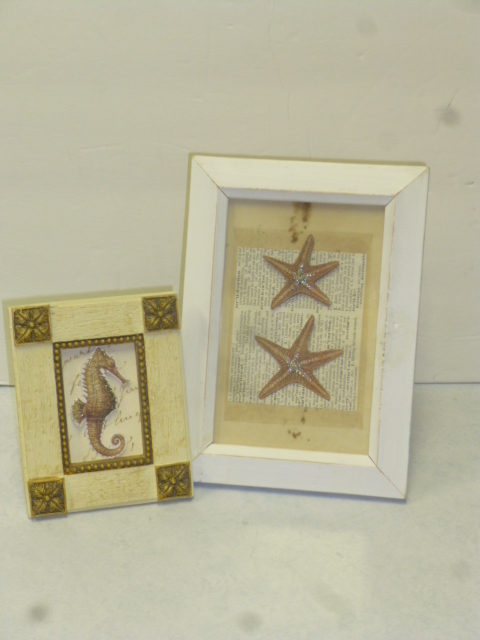 NOW, I really have to start doing some OTHER kinds of crafts!! !